Image showing the interior of a Pullman Palace Car parlor car about 1890. Note beautiful stained glass and marquetry work on ceiling. 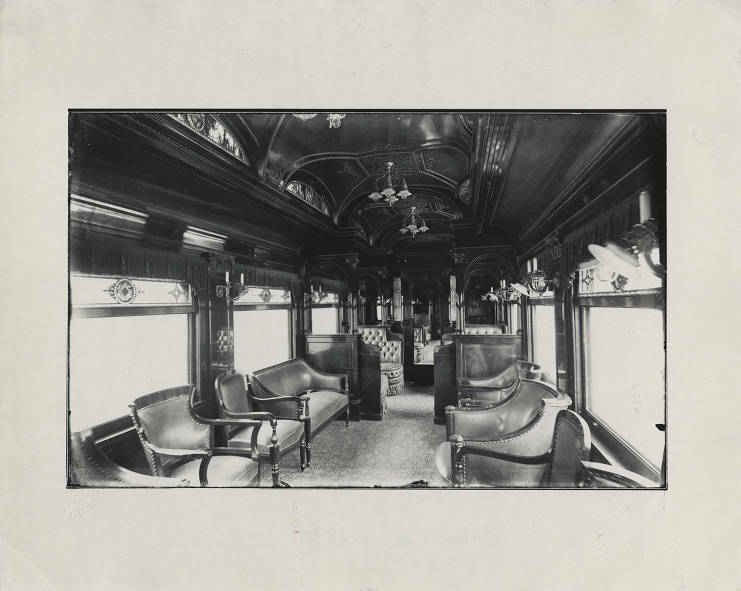 Description Image showing the interior of a Pullman Palace Car parlor car about 1890. Note beautiful stained glass and marquetry work on ceiling.